Samsung External Hard Drive is one of the well known USB hard drive provider brands on the market. It delivers unmatched portability and style. 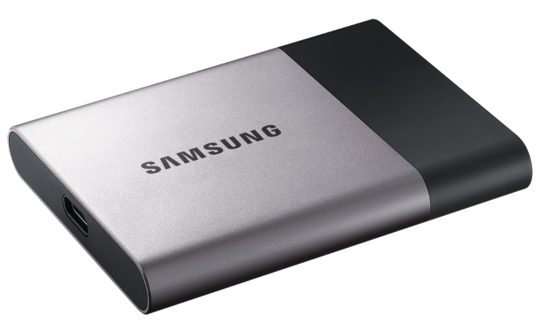 With it, you can backup large files at one time and store critical data on your Samsung external hard drive. If you have lost your media files or looking for solution to retrieve deleted data back, we recommend you Shining External hard Drive Data Recovery which is the best software to restore lost Samsung External Hard Drive data. It can restore files like videos, photos, pictures, documents, archives, music files from formatted, reformatted, partitioned, repartitioned, inaccessible Samsung hard drives. Click "Start" and select the Samsung removable hard drive, click "Scan". After the scan, choose the lost data found by this program and click "Recover" button to retrieve them back from Samsung external hard drive. Note: Please save all the recovered files on a different drive or device in case of data recovery failure and Samsung external hard drive data overwritten.